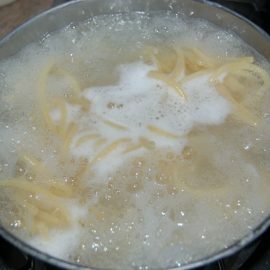 Put the pot of water with a little of salt on the fire, when it boils put in pici that usually have long cooking times, from 18 to 22 minutes. 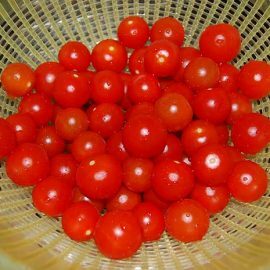 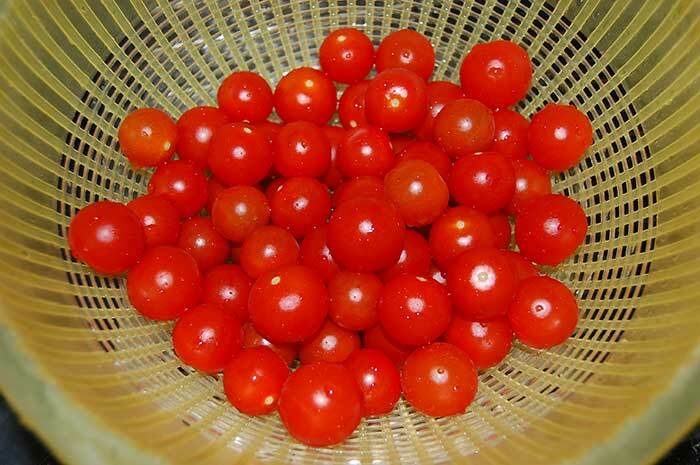 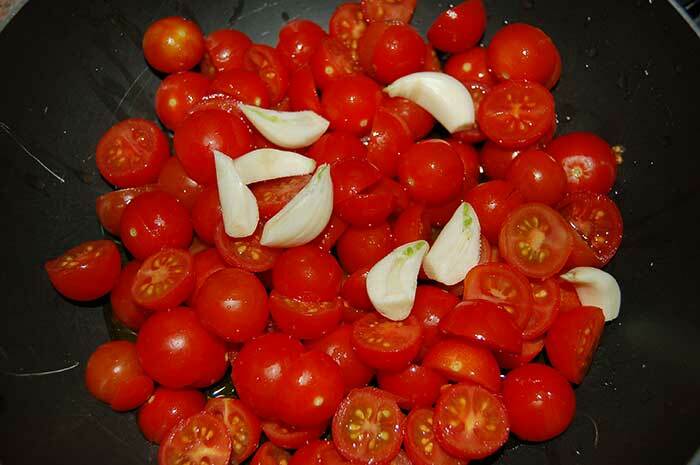 Clean the tomatoes and if they are too big, cut them in half. 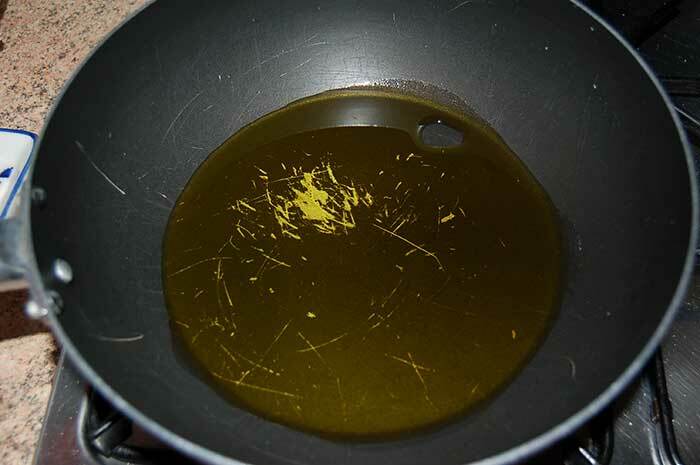 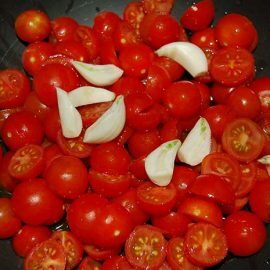 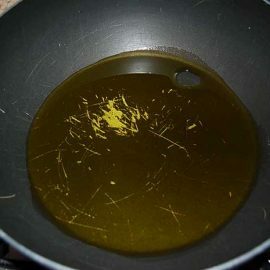 In a pan put a little oil, the tomatoes and the garlic cloves with a little salt all together raw. 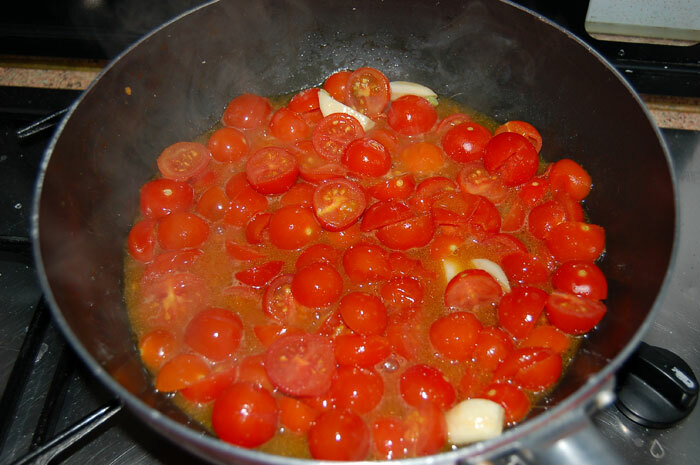 Light the fire, the tomatoes release in cooking a little water. 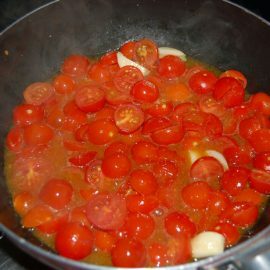 Cook a few minutes, making sure that will not dry out too much. 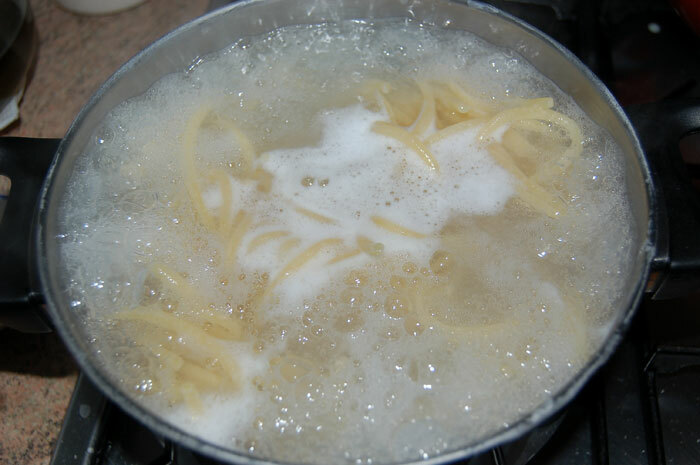 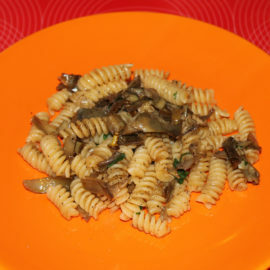 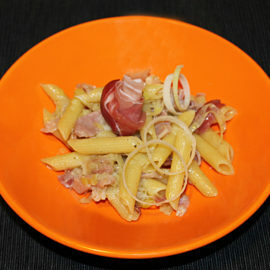 Turn off the heat and wait until it is cooked pasta. 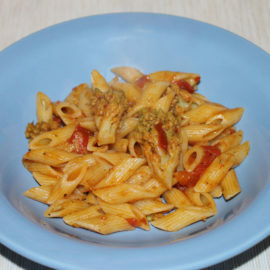 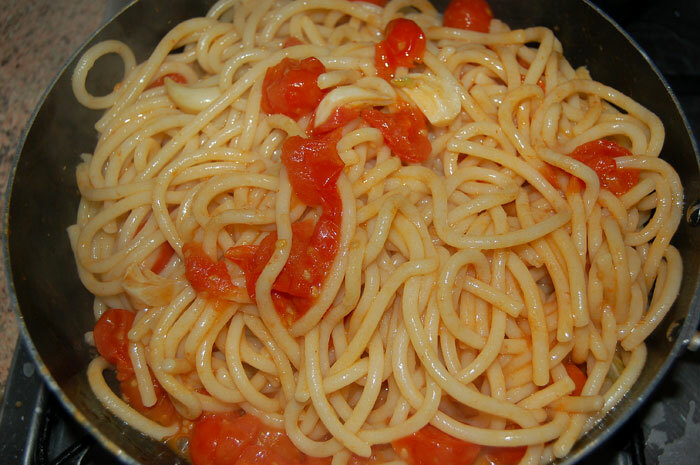 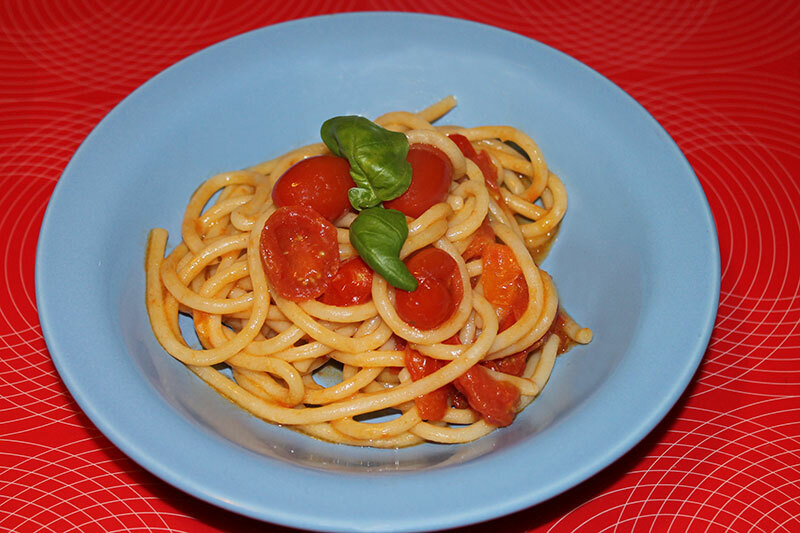 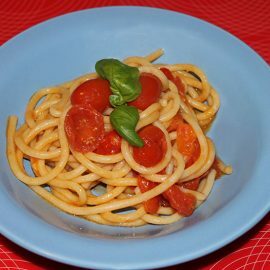 Drain the pasta when it is in a couple of minutes to finish cooking and pour into the pan of tomatoes. 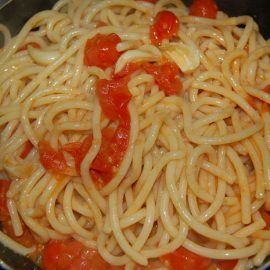 Raise the heat and sautee pasta for a minute.